Travel in Mexico: Safe or not? When planning our round-the-world trip, the original idea was to cross the land border at Tijuana into Mexico from California and travel across the entire country north to south before entering Belize and the rest of Central America. This plan was met with insistent if not vehement attempts to dissuade us, not only from crossing into northern Mexico by land, but also from traveling through Mexico altogether. Every single person we told, without fail, warned us against a trip to Mexico. Don’t you know how dangerous it is there, they would warn, speaking of killings, kidnappings and drug crime. Countless news articles seemed to support these warnings and, especially in Arizona, where immigration issues are endlessly being debated, front pages were filled with the treacherously unsafe conditions in Mexico. During our stay in Tucson we dropped plans for a day trip to Nogales, just across the border, because nearly everyone warned us not to go. We decided to skip the northern territories as advised by the U.S. Department of State, and flew instead directly into Mexico City, moving only south from there. After having spent over a month now in Mexico including time spent in Mexico City, Puebla, Oaxaca, a couple of smaller beach towns on the Pacific coast (Mazunte, Zipolite), San Cristobal de las Casas and Merida, we can honestly and happily say: Don’t believe the hype. Go to Mexico. We can’t imagine having left Mexico out of our travels. The things (and food) we would have missed! Of course you must be a cautious traveler. Take appropriate precautions, always keep an eye on your surroundings and stay out of known-to-be-dubious areas. These are tips that apply to a trip to any unfamiliar location, from New York to Dubai. Admittedly, the immense police presence on the streets of Mexico City made us initially feel very unsafe. If so many heavily armed police are necessary, we must be in a very dangerous place, we worried. However, after just a couple of days we felt safer in most of Mexico D.F. than in some parts of L.A. and even extended our stay in the capital by five days in order to fit in all of the exciting sights. This is a city crammed full of passionate, intelligent and very open-minded Mexicans, and an extensive trip to Mexico without visiting the great city of Mexico D.F. would leave a black hole in someone’s true understanding of Mexico and its people. During our visit to Puebla, we met up with foreigner-residents Rebecca from the U.S. (All About Puebla) and Elmar from Germany. They told us about the high-quality of life in the fine colonial city, and how safe they feel living in Puebla. Both have been in Puebla for over three years, a testament to a positive experience in Mexico. In Oaxaca we stayed in a modest two room bungalow in San Luis Beltran just outside of Oaxaca. Initially the area seemed rough, based on the level of poverty woven in and out of the areas known as the ‘Colonias’ outside the city center. Here it would have been easy (and probably smart) to feel like walking dollar signs. Initially we were a little concerned as we were quite openly the only non-Mexicans on the streets and buses. However, during our two weeks in San Luis Beltran, we never felt unsafe. On the contrary, the people were very friendly, gave directions, made sure to say ‘Buenos Dias’ to us and Dani never felt scared to take her Cannon SLR camera out of her bag. No matter where we go, we are overwhelmed by this kindness. At the public viewing of the FIFA World Cup on Mexico City’s Zocalo, countless fans congratulated Dani on Germany’s third place win, and the next day, assuming the blonde-haired, blue-eyed spectator was Dutch, consoled her for Holland’s loss. Market vendors proudly and patiently have explained their produce, meals and traditions to us without a hint of an eye-roll or judgment. The locals in Puebla were excited to introduce us to their culinary specialties, like chapulines – grasshoppers, and our friendly neighbors in Oaxaca brought over home-made tamales. It is hard to imagine a neighbor in London or Chicago bringing over food the day we move in. Such traditions were lost for us in the 1950s, it seems. This post is not meant to sugarcoat the situation here. There is constant violence in the country, and everyday we read the headlines that speak of taxi drivers, a priest or innocent children being murdered. The national newspaper published a multi-article examination into the violence in the North of Mexico one weekend, looking at the issue from several different angles. But life goes on, as it does in the United States, which has one of the highest murder rates in the world. It is important to keep this in perspective, and not to lose sight of the fact that on the whole, the people of Mexico have done nothing but receive us with kindness, and we are constantly impressed by the colorful culture and traditions which in no way resemble the unfortunate preconceived notions we held about the country before we arrived. Our new-found love of Mexico, coupled with its enormous size, has led us to extend our stay here by an entire month (most likely much to the dismay of some friends and family). We will spend this month exploring the Yucatan peninsula where we were able to find a fully-furnished apartment in Playa del Carmen at a bargain price thanks to our fellow traveler Wandering Earl. We hope that our feelings about safety in Mexico will not change over next few weeks and that the secure feeling continues throughout Central and South America. Have you recently been to Mexico? Do you live in Mexico? What are your experiences with ‘feeling safe’ here at the moment? Mexico, sigh… such an incredible, underrated country. Your website is wonderful and I love your photos of Mexico. It looks like we have been in some of the same places recently. I can’t believe how much more I need to do in Mexico, but it’s nice to know that Mexico City is just a 4 hour flight away from me 🙂 Looking forward to reading about your adventures! I’m mexican, very proud of the richness of my country, and very sad, too ’cause I see all the damage that dangerous people is doing. I’m glad you write this, it’s true, not all Mexico is bad, not all mexicans are drug dealers. Most of mexicans are people proud of their roots, honest working people that love to share with locals and foreigners their food, their culture, even their troubles. If I have to gave a tip, avoid to drive, specially at night on northern roads or lonely roads. And avoid to drive luxurious vehicles such big trucks. Travel by bus is much safer, is not common that bad guys stop public buses. Dont’ be afraid, just take the usual precautions. Mexico it’s a big country with strong people, we’re going to overcome this. Greetings! Thanks for commenting, you can be truly proud of your country!! It’s a shame that not more is written about its beautiful culture and customs, we hope that the violence will come to an end and that Mexico will be promoted more as a tourist destination again. i wanna go to mexico with a couple of my friends i herd it has some beautiful places an sites an all that, but im afraid of what other peopple are telling me saying id get taken advantage of and used and missing ppl down there, i dont really believe everything there saying and i know some spanish should i go???? Hi Lindsey, you definitely should go!! As long as you don’t visit one of the border towns that have seen a lot of violence, you’ll be fine. Where exactly do you want to go? In the main tourist places (like Playa del Carmen, Cancun, Acapulco) you get by without speaking a lot of Spanish – most people understand and speak English. Such a great post, you two! I don’t live in Mexico, but I’ve been to both the east and west coasts, and I’m hungry for more — San Miguel de Allende and Oaxaca have been big on my list, but Puebla…who knew? I live in L.A., and we’re constantly hearing news about violence in northern Mexico. If you don’t pull out a map now and again, you could forget that the country is positively huge, and that it’s one region that’s in (admittedly terrible) trouble. We shouldn’t abandon Mexico as a tourist destination, or well…the terrorists win. Melanie – we actually enjoyed our time in L.A., and didn’t think it was too scary 🙂 We came across a couple of other places in Mexico that we highly recommend: San Cristobal de las Casas in Chiapas, and Valladolid on the Yucatan. Both beautiful – add them to your list. Great post! While you do of course need to be safe in Mexico (and most other places in the world I might add!) the amazing places, people and food of the country mean people shouldn’t miss it! I was there in 2007 and had a wonderful time – and still often dream about it. It’s definitely one of the countries I would love to go back to and explore more. Just stumbled across your blog – looking forward to reading about your future adventures! Thanks Rebecca – it’s definitely a great country to go back to. Even after 6 weeks here we have the feeling we’ve only seen a small part of Mexico, there’s so much more to see! The picture of the newspaper is pretty gruesome, but we decided to include it as the newspapers have front pages like this every day – dead bodies all the time! It’s a shame that only bad & shocking news about the country make the headlines. Gorgeous photos, girls! Thanks for sharing your experiences with Mexico so far. I can relate to most of what you mentioned. 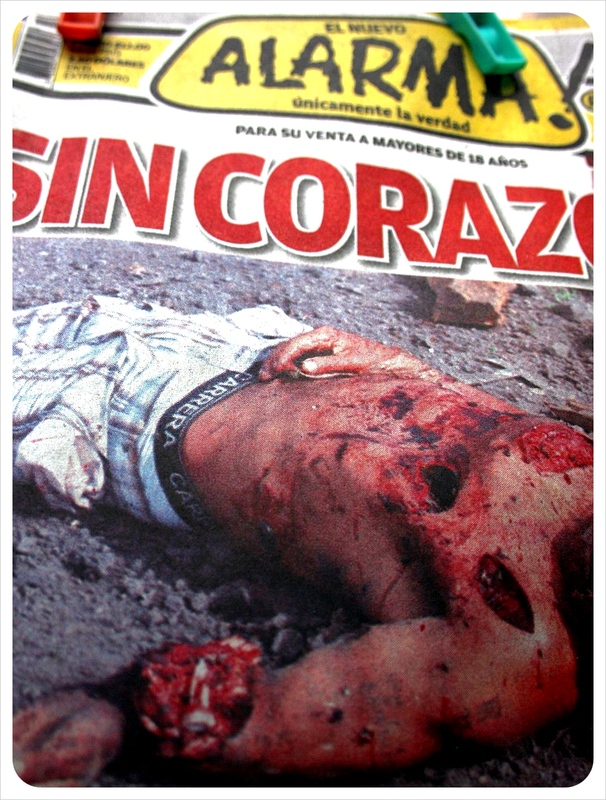 During our 4.5 months in Quintana Roo we saw lots of armed cops and bloody photos in the newspaper. And yet, not a single incident of violence where we were. I get the feeling that the world over, there are always going to be pockets where violence is common. But they’re so tiny compared to the rest of the world where people are cool & courteous to one another. Keep your head on a swivel and you’ll do fine just about anywhere. I’m glad you’re enjoying your time in Mexico so much. Have a great time in Playa! Well said and I couldn’t agree more. Just like Lauren said, I’ve yet to see a single act of violence (or even hear of anything more than a pickpocketing) during my time here in Playa del Carmen. Same goes for the five months I spent on the Pacific Coast as well. And of course, I’m looking forward to meeting you both in person once you arrive to peaceful, friendly Playa del Carmen! Not related to the above article, but thought you girls might enjoy this read: http://cheaphealthygood.blogspot.com/2010/08/veggie-might-traveling-while-vegetarian.html. Well, my father got robbed and murdered in Mexico a few months ago and the local police didn’t do ONE single thing to find the murderer but they took the time to trash his reputation by making him look like some kind of pervert. I’ve learned that Mexico is a nice country but the authorities have that lingering habit of systematically blaming the victim when a crime happens (there are several websites that describe numerous cases of that practice). That way, they can safeguard their tourism industry. One thing remains, Mexico is a third world country in which we cannot expect the level of police protection or cooperation we know in Canada or the US. As long as you don’t run into trouble, you won’t feel the difference but if you get robbed, attacked or get into an accident, you’ll feel really far from your home country. Hi there, thanks for reading and commenting on the post We are really shocked and sorry to hear what happened to your father here. It sure is true that when you get robbed or something happens to you while travelling you feel very far from home. So far, during our almost two months in Mexico, we haven’t even come close to anything negative like this. Mexico is definitely a complicated country both socially and even moreso politically. While our opinions on Mexico seem to be very different, it is certainly true that navigating an entirely different system of government as well as an entirely different culture is hard enough when things are running smoothly, and much more difficult during a situation of crisis. Thanks for sharing this though, it is a good reminder to always be on our toes and be 100% aware of our surroundings. Thank you for a wonderful insight to Mexico. I asked a few friends for advice about Mexico in terms of seeing Mexico not just the inside of the resort in Cancun. All I got was don’t go it isn’t safe. I am glad to read things aren’t as they seem! Hi Jessinta, you should definitely go to Mexico to visit! Be smart, research before you go about where it is safe, but definitely take the time to visit Mexico. Outside of Cancun, you can stay on Isla Mujeres, one of our favorite places in Mexico – a tiny beautiful island with clear blue water right off the coast. 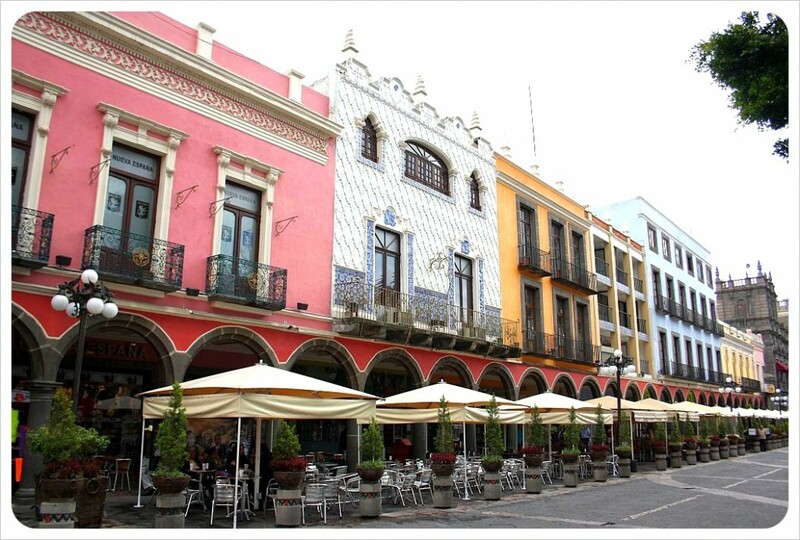 Go to Playa del Carmen, visit the ruins in Tulum, and head inland to our favorite Mexican town – Vallodolid! Have fun!!! Thank you for posting such a positive snippet into Mexico. I am going for a 6 week adventure by myself next month and am landing in Cancun, then going where the wind takes me. I have been trying to look for places to avoid, and of course places to go. I hope to pick up some real life opinions from travelers whilst I am there as, like you say there is so much negative press and people are genuinely shocked that I am traveling there alone, being a female and Mexico so “dangerous”. I am sure I will find the beauty in the country, the people and in the experience – stay safe and come home with some amazing tales to tell all the skeptics. can we just say, we love you. This is a great post, and it is nice to have a visitor report on the reality of what is happening in mexico. we know that things are fine as people who live and work here, but it is very hard to convince others that everything is fine. thank you and really we love you! i have been riding my bike ALL around Mexico for the past four months, baja, and then across and south of Mazatlan..no problems! good times, do it! Jason, Thanks so much for your comment. Your bike trip sounds amazing! We have yet to go to the north of Mexico but can’t wait to go back. We’re happy to hear that other travelers share our experiences and thoughts about safety in Mexico. We ended up staying for 11 weeks in the end, and not once did we feel scared or in danger. We feel the same way! Parts of Mexico are very dangerous, but the crime is nearly always between those involved in illegal activity somehow, not tourists. People are so helpful and friendly, that we also felt at least as safe in Mexico as in Europe, if not safer like you say! Except for one evening in Tizmin, I have felt completely safe in Yucatan. I lived in Mexico for almost two years and would have to agree with most of the comments about Mexico being a beautiful place full of wonderful people that treat you like you are from there. There is crime, just like every where else in the world. The military presence made me feel more comfortable about being there. I never had a bad experience with the Military or Federales, but the local police sometimes try to take advantage of people but you learn how to deal with them. Mexico reminded me of growing up in rural Louisiana 40 years ago. I think all Americans could be reminded of what our people use to be like. I would be more fearful to get help form a stranger in America than in Mexico. I lived in the Yucatan, so I know it’s not the same as the border towns and its not influenced by all the corruption of the border towns. I’ve been all over Mexico and really enjoyed the more rural areas. A lot of the people may not be rich with money but they have a wealth of heritage and culture that everyone should experience. this post is already a few yrs old, but i felt like commenting. lst year i’ve been to mexico and i looooved it. especially the people, so lovely and generous, and extremely friendly. always felt welcome in thsiüüis beautiful place. and without any doubt, i’d go there again. you know i think it’s a shame how the media just wants us to believe only bad things about some places. i’m aware, things can happen and i’m a careful traveler… but something can happen anywhere. we can never predict that. 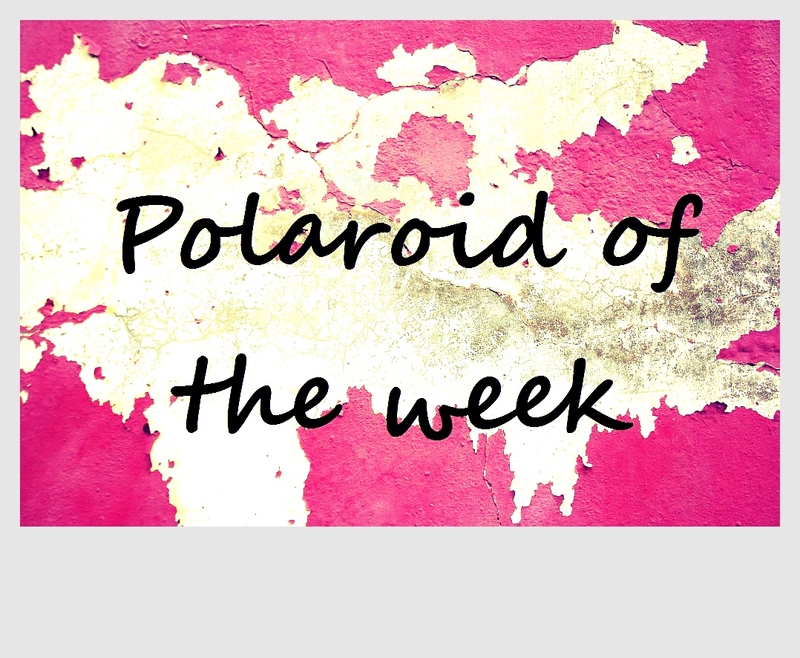 Polaroid of the week: ¡Viva Mexico!